James Edward “Peanut” Smith, 76, of Laurinburg, passed away on Friday, January 18, 2019 at Morrison Manor. A Celebration of Life service will be 3:00 p.m. Monday, January 21, 2019 at the McDougald Funeral Home Bumgarner Chapel, officiated by Rev. Duane Powers and Rev. Jerry Mims. Visitation will be from 1:30-3:00 p.m. prior to the service. Born September 9, 1942 in Scotland County, he was a son of the late Melton and Ollie Perkins Smith. After serving in the U.S. Air Force, he owned and operated a cylinder head shop. 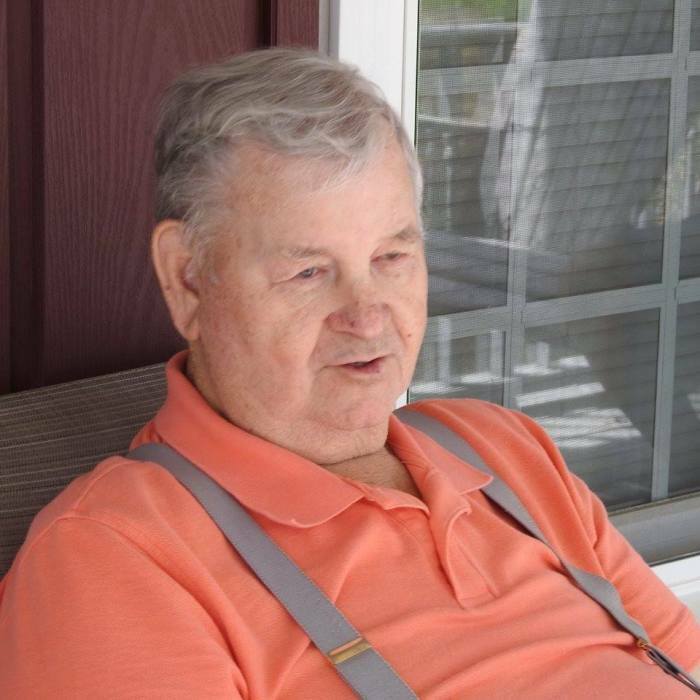 He loved football to include the Red Skins as well as his local favorite, the Fighting Scots. He thoroughly enjoyed race cars and most of all, old cars. He is survived by his wife, Linda Livingston Smith of the home; sons, James E. Smith Jr. (Diane) of Savannah, GA, and Mark Smith of Laurinburg; daughter, Suzette Smith Holloway (Kenny) of Laurinburg; stepchildren, Lori Hudson (Ronnie) and Kathy Wainwright (Tom), both of Gibson, Suzanne Ellis (Michael), Tammy Pate (Keith) and Tommy Taylor, all of Laurinburg, and Timmy Taylor (Sue) of Clover, SC; brother, James Smith of Laurinburg; sister, Shirley Johnson (Ray) of Anderson, SC; grandchildren, Cale Smith, Gwen Norton, John Holloway, Sarah Holloway, Amber Smith, Dylan Ellis, Stephen Hudson (Heather), Josh Pate and Amanda Pate; great grandchildren, Maddyx Norton, Kaori Ocasio, Nathan Hutchinson III, Ashleigh Hudson, Dustin Hudson, Bryan Hudson, Nathan Autry, Seth Lee and T.J. Lee. He is preceded in death by his stepson, Terry Taylor and his brother, Bobby Smith.